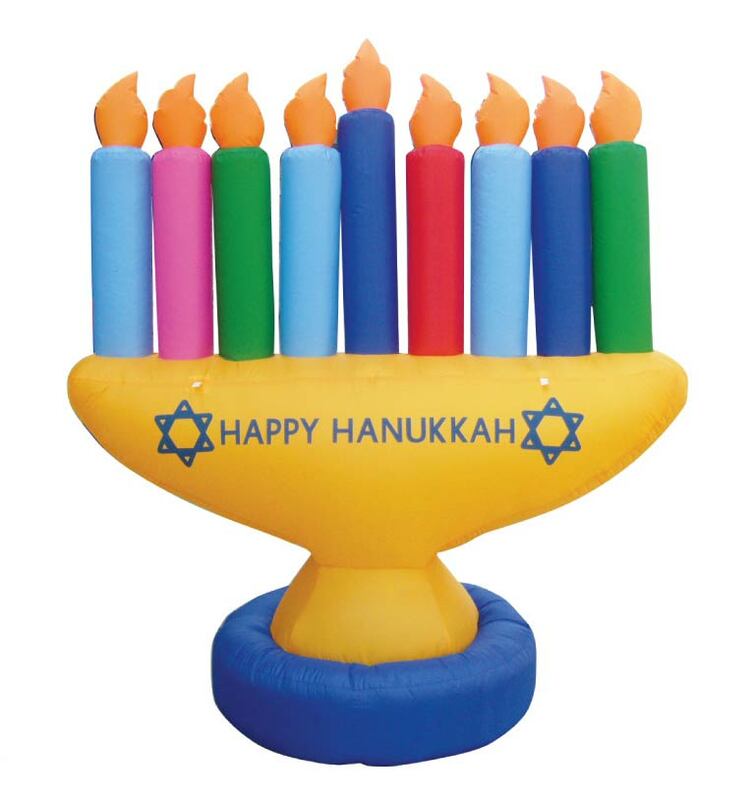 Get into the Chanukah spirit with seven feet of inflatable goodness. This outrageously awesome blow up Menorah decoration is perfect for both indoor and outdoor use so you can either brighten your home school, and shul, or bring the Holiday of Lights to the streets. This fun and funky Menorah comes replete with tie down ropes and stakes, bulbs to illuminate the base, and a powerful fan to ensure easy and fast assembly. Because nothing says Chanukah louder than a 7’ statement Menorah designed exclusively for Zion Judaica. WOW! BLACK FRIDAY DEAL 19% OFF!